DonateGive Hope To directly help and directly impact a child through High Five Hope, you can donate using the paypal button below and any amount truly will help! We are actively looking for donors to help with the purchase of shoes, jerseys, equipment, gear, transportation and food. The best way to help is to make a donation. Donate $25 [wp_cart:$25:price:25:end] For $25 you can provide a child on the street with shoes, socks and a basketball. Donate $50 [wp_cart:$50:price:50:end] For $50 you can provide a child a full outfit as well as transportation and lunch. Donate $100 [wp_cart:$100:price:100:end] For $100 you can directly help fund the facilities, courts and referees for the tournament. Donate $500 [wp_cart:$500:price:500:end] For $500 you can sponsor an entire team. As you donate, check out the Paypal checkout on the top right of the page. This shows you your shopping cart and allows you to checkout from there. You do not need a PayPal account to checkout. Thank you! From a recent article about the origination of High Five Hope, we received tremendous positive responses from around the world. The words of support were wonderful, and the stories we heard back were truly amazing and inspirational. I’m going to share some of these stories – with approval from the senders of course – here on the High Five Hope blog. I hope you enjoy these and please share, so much of what we do is centered on a ‘pay it forward’ belief, so like/share/tweet! 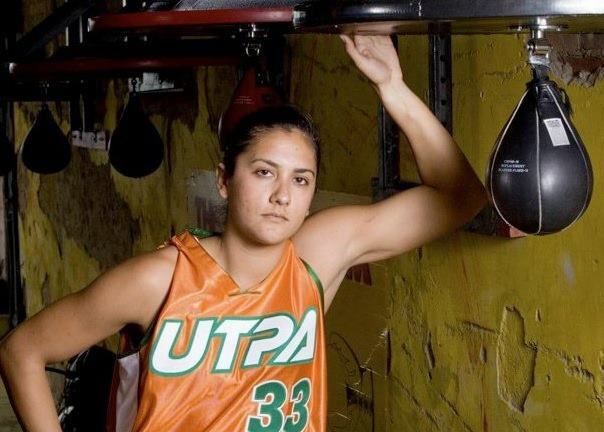 This story is about Cinthia Ramirez Bernal, a woman who recently joined Microsoft Mexico, who wrote to me after reading the GeekWire article, since her life was changed at a young age through basketball. 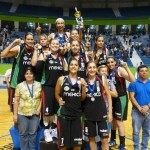 “I was born on July, 16, 1985 in Guadalajara Jalisco Mexico, to a family of 9, I am number 4. Both my mother and father worked to support us. Being part of a big family my parents really didn´t have a lot of time to be with us. My dad would take me to a YMCA every weekend where he spent hours playing basketball, so I started to practice sports when he was playing with his friends. Sports became my best friend, as I had no space at home so I spent my time outside doing sports. I played tennis, basketball, soccer and did other sports as I grew up. When I entered high school I had to choose one sports because I didn’t have the time to do everything I was trying to do, so I decided to played basketball. 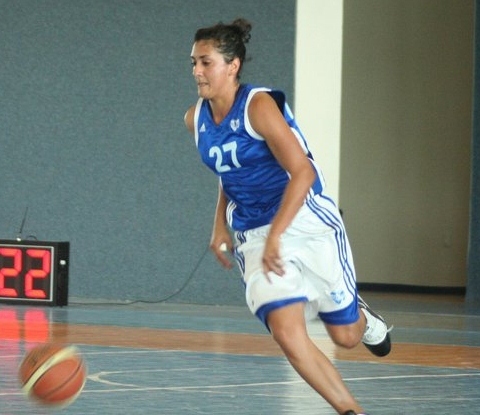 When I was in 10th grade I knew I wanted to play basketball in the USA, but at the time that sounded impossible. My parents didn´t have the money to send me to the USA, so I left with a friend and her family to live in Texas, and they took me in as one of their own. Once in Texas I was invited to attend Nolan Catholic High School in Fort Worth Texas, It was hard to leave my family when I was 15 years old and I didn’t visit home for almost a year. My English language skills were not the best so I struggled with school but that didn´t stop me; I learned how to study and improved quickly. By my senior year I visited different colleges, I finally decide to sign with The University of Texas Pan American (UTPA). Our head coach, Coach Craft, was hard on me but she taught me so many things that today I appreciate: discipline, hard work, commitment, passion. My basketball team became my family. We had this team quote that I will never forget: ONE BODY… because we were part of one. After two years of hard work in my junior year in college, I started 14 games in a row, and my best memory was when we were playing against a better team, South Dakota. In that tough game I scored the last second, game winning shot. If felt like all the hard work and sacrifice in a single basket. 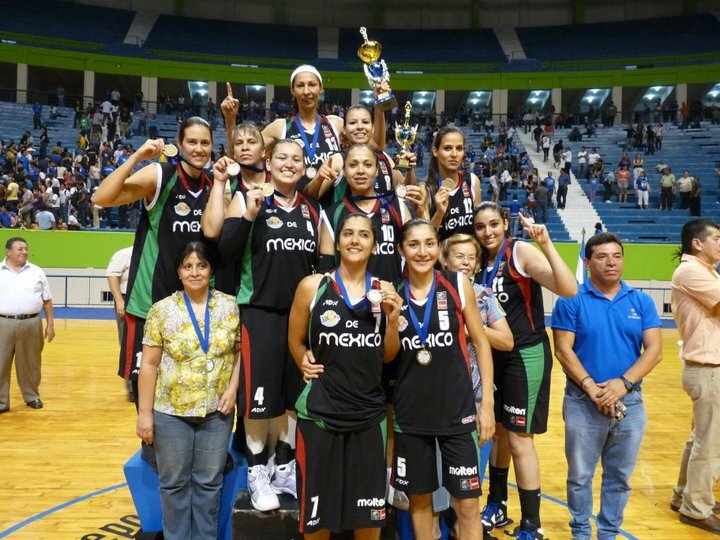 I was also part of the Mexican national team more than once, and my last basketball tournament was in May 2011 where we won first place in the Centro Basketball tournament in El Salvador. Throughout all of my basketball experiences, my coaches and teammates have become important and crucial role models in my life. It´s been a long journey and I am so exited of where I am standing now. If I had never played sports, especially basketball, I am not sure where I would be today. It paid for my education, and I learned lifelong discipline and commitment. Without a sports scholarship I don’t think my parents could afford my education, so I would definitely not be where I am today, working at a company like Microsoft. Daily, I use the skills and values that I learned through sports, and they have been critical to my success. Focus, team work, passion, responsibility, accountability, self-sacrifice, these are only some of the values that I learned through sports. Thanks so much Cinthia for sharing your story. I know there are lots of girls (and boys!) who will find inspiration from your experience and words of encouragement. Keep up the great work and positive influence. Copyright © 2016 High Five Hope. All rights reserved.